BAU 2017—that is about 185,000 square meters of materials, technologies and systems. 25 soccer fields filled with state-of-the-art technology for the international construction industry. In a five-part series, we look at the main focuses of the exhibition sectors at the fair. Part 5, the final part, deals with the topics of gate and parking systems, floor coverings and aluminum. These days few people still have to get out of the car in all weathers to open the garage door by hand. Electronic systems to open garage doors and gates, operated by transmitter, are now standard features, offering not only greater comfort but also safety. Automation has long since made inroads into the home and work environment. The next step is the use of apps to control functions in the much heralded “smart home”. Secure radio communication systems are based on the same highly complex encryption methods that are used in online banking. Typically, in a home situation, a number of different family members regularly use the entrance doors and gates, and so a fixed code button, a radio-operated wall switch inside or a finger scan can be advantageous for opening and closing. Intelligent radio-operated systems can also exchange information between themselves: State-of-the-art security technology features an analysis of the return signal from the other system, and bi-directional communication. The system can now also check to see if the gate has been properly closed, and lighting and security installations can be included in the security check. At the upcoming BAU the manufacturers will be presenting a wide range of solutions in gate and parking systems, drive systems for gates and doors and accessories. The exhibition section on floor coverings next year will feature an extensive range of new products in elastic and textile flooring as well as parquet and laminates, moldings and profiles and floor-laying technology and equipment. The growth markets are in particular in housing construction, and the hotel and catering sector. The trend towards high-quality materials in interiors is continuing—and this means above all a focus on sustainability and health. For example, the members of FEB, a German trade association for manufacturers of elastic floor coverings, are presenting “organic flooring”, a polyurethane-based (PUR) covering made from 99% renewable materials, and also synthetic floor coverings with zero health risk. As regards design, there is still a marked preference for color, structure and decor, also for photorealistic motifs. In wood-effect decors, oak is still highly popular, in a wide variety of patterns and styles. The consumers also like easy-to-lay and easy-care coverings. Sustainability and environmental aspects will play a key role at the next BAU. 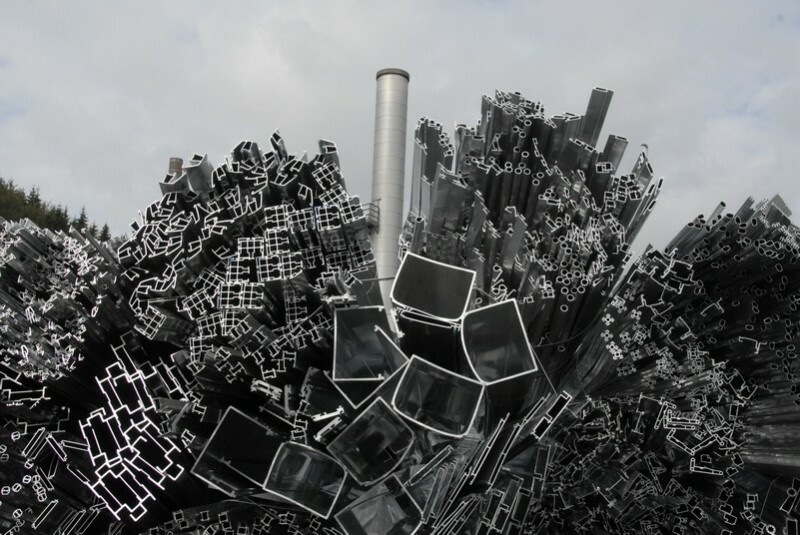 In the German construction industry, around 93,000 tonnes of used aluminum components and production waste has to be dealt with each year. In Germany, an initiative has been set up by over 170 leading companies to promote resource-efficient re-use of windows, doors and facades. The name of this initiative is A|U|F e.V. – Aluminium und Umwelt im Fenster- und Fassadenbau. Already one quarter of the material has been collected in a closed and monitored system and processed into new quality profiles. Key results from a study of current flows and quantities of used aluminum material will be presented at BAU 2017. In facades, a “new generation” is emerging, not only in terms of recycling. Using the latest computer technology new types of façade are being constructed in 3D. Generally façade planning will increasingly be including the themes of solar shading and energy generation and use. BIM will also be playing an ever more important role. As well as new developments in aluminum profiles and systems, solar shading and façade systems, BAU will also be a showcase for machines and tools for aluminum and steel work. Sustainability in aluminum recycling too: Already one quarter of used aluminum is being processed into new quality profiles.